Data loss is a common problem in the world of technology. Many people panic whenever they delete or lose data from their desktops. There is no reason to have sleepless nights because you can no longer access your messages, contacts, music, videos or documents from your computers. With the development of technology, there are applications that can assist you to recover important files without going through much hassle over the same. One of the best applications to consider is Mobikin Doctor for Android. With this application in place all your problems are solved. What is Mobikin Doctor for Android? MobiKin Doctor for Android can be defined as a multi-functional desktop application that you can use to scan as well as retrieved deleted, formatted and lost data from your system. The application can enable you to get back your music, videos, documents, photos and messages among other important information. The next time you lose or format your device without your knowledge simply look for this application instead of moving up and down wondering what to do. To find out more about this application read on. The all in one Android recovery program works with tablets and Android mobile phones. The development of this app has made the restoration of deleted as well as lost Android contacts, photos or SMS easy. Why Choose Mobikin Doctor for Android? Like we mentioned earlier on, there are many data recovery tools on the market. However, none of them can beat Mobikin Doctor for Android. Here are good reasons to choose this application over others. The application enables users to recover different types of files including contacts, call logs, documents, media files and other forms of data. The application can be used to deep scan both the internal and external storage systems of the phone. The program allows you to retrieve your lost or formatted data easily. In addition, it assists in preserving the content in its original format. In case you want a backup tool for your professional activities then you can bank on this application. It is ability to scan as well as display both the existing and deleted files makes it second to none for those who want to avoid loss of important information at their workplace. This creates room to select all the data and then transfer to the same from an Android device to your personal computer for safety reasons. The media files are also save the same way they appear in their original format. Before recovering the lost music files, contact or message among other data, you will have the opportunity to preview the same. Users can easily determine which data they need before starting to recover the same. Videos and photos can be viewed using the thumbnail view mode before any action is taken on them. How to Perform Mobikin Doctor for Android? Using the Mobikin Doctor for Android is a breeze. Unlike other complex applications out there, you can us this application without experiencing problems even if it is your first time to do so. Here are simple steps on how to use the application to recover information. To start with, you will have to download this application from the official site and the install it on your PC before getting started. On the official site, you will see icons from where you can get free trial version of the recovery software. The free trial version has been provided to ensure that you try the product before making an informed decision over the same. 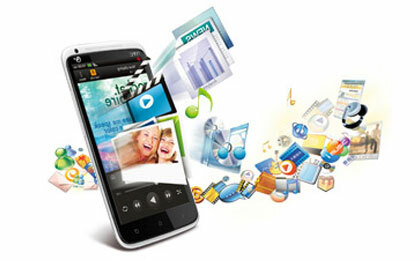 Unlike other tools designed with the aim of making profit, Mobikin Doctor for Android is meant to solve your problems. However, the free trial version does not come with all the features we provide. The version only has the ability to scan your device and find the lost data. This means that in case you would like to get the preview of the detailed contents of the information lost and recover the same to your computer then you will have to look for the full version of the application. TourPhotos provide your tourists with your tour photos! This is really helpful application for many people. Recently, I formatted my SD Card while factory resetting my phone, using this, Maybe I can get my data back. Great post The Writer has provided this useful information in a very easy way keep it up thanks for sharing it with us.